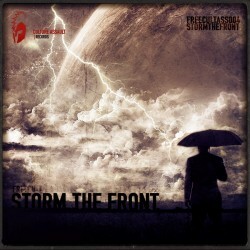 FREECULTASS003: Culture Assault Recs dubstep division delivers another free release! is here!. Once again we offer you free downloads for your listening pleasure. which will lift your feet off the ground the moment you hear it. and atmospheric bleeps certainly do the job. Loop Stepwalker's mysites to find out what they're cooking up next. We hope you enjoy this release! Spread the word, and take care! FREECULTASS002 is here!. Once again we offer you free downloads for your listening pleasure. This time it's two tracks: Sido's hands on Scooter - Beweg Dein Arsch (Shem Remix) & Darkbasser - Still Dead VIP. Guess who showed up this lovely friday afternoon while I was to make my brain bleed listening to the Filthcast004?!! Yeah, you got it right. It's the first one of more to come FREECULTASS download releases you'll find exclusively for free on culture-assault.net for all the registered users.